Buddy is one heroic dog. He has saved the life of his human not once, but twice, and a local shelter is trying to find a home for them both. 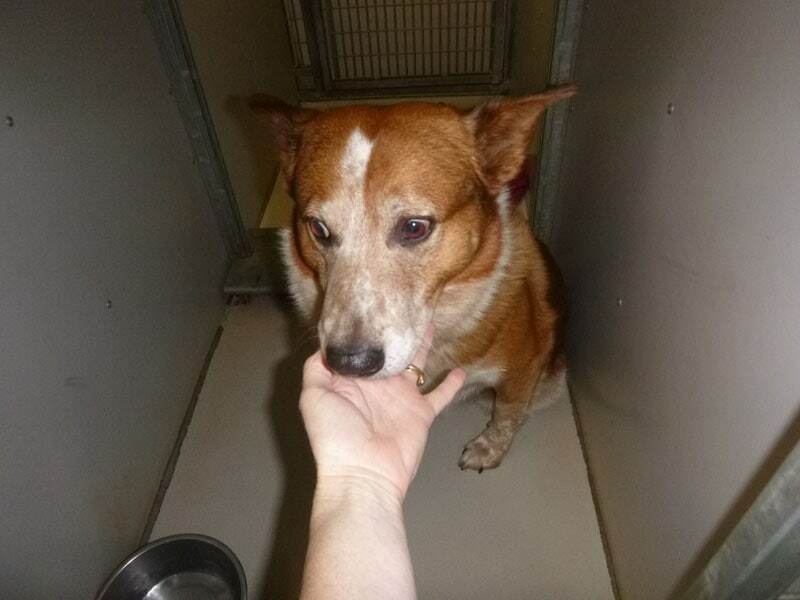 Buddy is no stranger to the staff at the Thurston County Animal Services facility. His human is homeless, and Buddy is often brought in as a stray, and his human is usually right behind him to spring him from the shelter. One day, Buddy’s human had a medical emergency, and if it wasn’t for Buddy, he may not be alive today to tell about it. 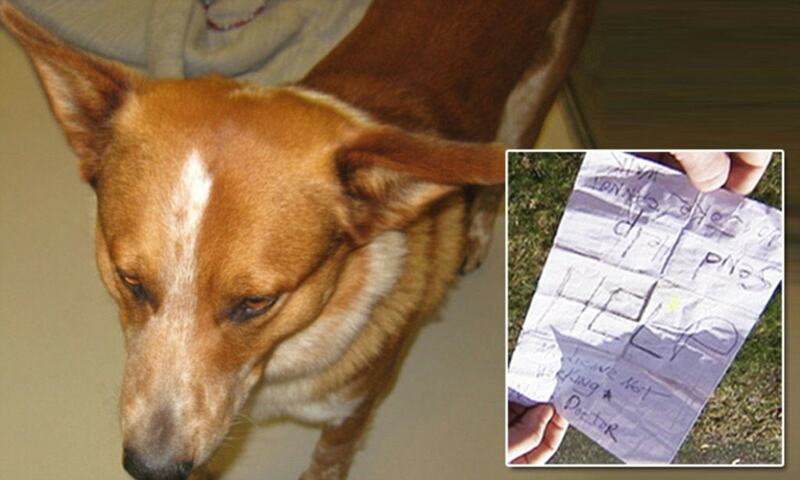 Back in February or 2013, Buddy’s human tied a note requesting help. He was stuck in a local homeless camp, and was in dire need of medical assistance. A woman walking her dog on a nearby trail came across Buddy with the note, and his human was saved. This time, Buddy was brought into the shelter, and when his human wasn’t right in behind him to pick him up, staff at the shelter knew something was up. They called local hospitals, the county jail, and pretty much every single other place they could think of in an effort to find the man. It would seem that no one had seen him in quite a while. That’s when they decided to go out to the homeless camp they knew he stayed at. Upon arrival, they came across a makeshift shelter in the woods, when the man they were looking for was inside. He told them that he had been stuck in the makeshift home for a week, unable to stand. The two previous days brought intense pain, and there was no one in sight to help. The area is secluded, and doesn’t get much foot traffic. He was happy that someone thought to check on him at all, and was glad to be getting the medical attention. The man was transported by ambulance to Providence St. Peter Hospital in Olympia, Washington. He was admitted to the hospital’s emergency center, and no further information has been released at the time of this article being written. Staff at the shelter is taking care of Buddy, and he is not being put up for adoption. However, the small shelter does have an abundance of animals waiting on a forever family, and they hope the extra media attention will spur on some adoptions. If you’d like more information on available animals at the shelter, you can click here. Staff at the shelter are also interested in finding a permanent residence for the homeless man and Buddy. They’ve been working with local social services to find housing and assistance for him, and help them get back on their feet. They hope to find a place that will be able to allow him and Buddy to stay together, and will be able to help him with his medical conditions when he needs it. Talk about having true holiday spirit! What a team they have over there! Yup. That’s a cattle dog indeed. Very loyal pups!!? It’s too bad Olympia is so far away, because this man and his dog would be welcome in my house. Amazing Story! Its obvious they need help, poor man and his precious dog. Used to see homeless people in the city. Always wondered about the ones with dogs. But you see the need they both have. Dogs are so smart and loyal to us, yet we as humans are too quick to “throw them away” when things don’t go right. They love us UNCONDITIONALLY as we should them. Our beloved lizzy was tragically killed on 11/17/15 and i still grieve for her. BUT, we were quick to adopt another one from a kill shelter. MUST LOVE DOGS! That’s how humans are supposed to behave. This one sure did bring tears to my eyes. Dogs are the greatest animals on earth. They would lay their life down for you, comfort you when you are scared, sick or lonely. They go without food and still stand by you. I can only hope and pray this homeless man and his dog get a forever home together.